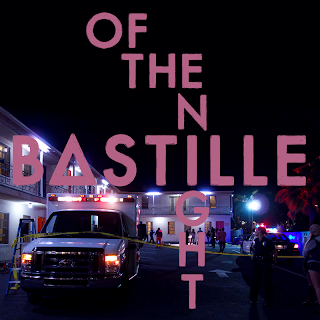 Back in March, I was all about Bastille's "Of The Night," an eerily effective mash-up/cover of the 90s dance classics "Rhythm is a Dancer" and "Rhythm of the Night" (by Snap! and Corona, respectively). And now, nearly half a year later, we have been blessed with one hell of a music video. It's dark, it's gritty, and it perfectly complements the slightly sinister sensibility and melancholy of the song. The video, beautifully directed by Dave Ma, is like a more cinematic episode of Law & Order in which a veteran police detective drives from crime scene to crime scene, envisioning the bodies of victims singing to him in unison. It's musical noir! Sure, it's creepy and sad, but it works...and spits in the faces of all the overly glossed pop vids currently clogging up the YouTube channels. Sean Lew: Future 'SYTYCD' Champion?